The ‘Living National Treasure’ Inoue Manji was born in Arita, Saga prefecture, and at the age of sixteen studied the art of potting under the tutelage of Kakiemon Sakaida and Chuzaemon Okugawa. In 1958 he worked for the Prefectural Arita Kiln Institute, where he researched the art of ceramics and glazes. 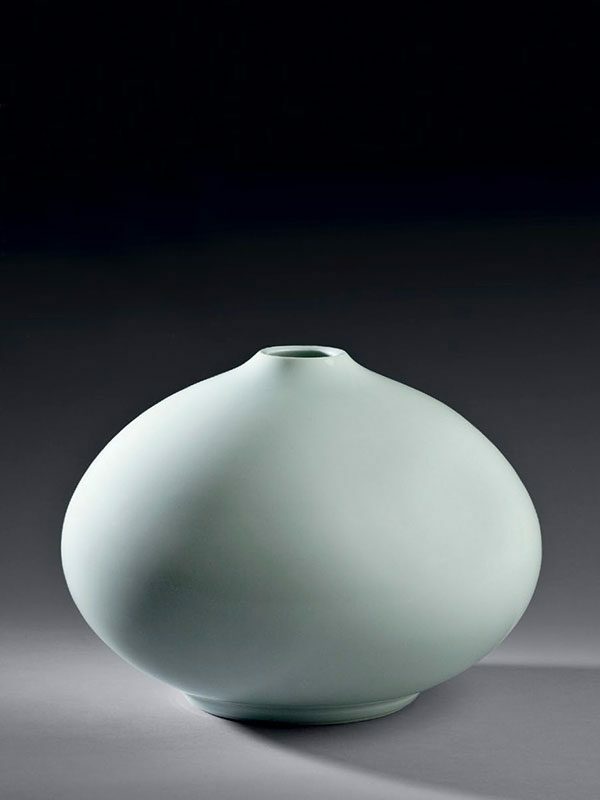 Inoue Manji was named ‘Living National Treasure in 1995 in recognition of his contribution to the art of white ceramics. The strong but simple form and the subtly coloured glaze of this beautiful porcelain spherical bottle echo comparable features of Chinese Song dynasty (960 – 1279) porcelains, particularly those of qingbai type. A nearly identical bottle vase from 1998 by the same artist is in the collection of the British Museum.